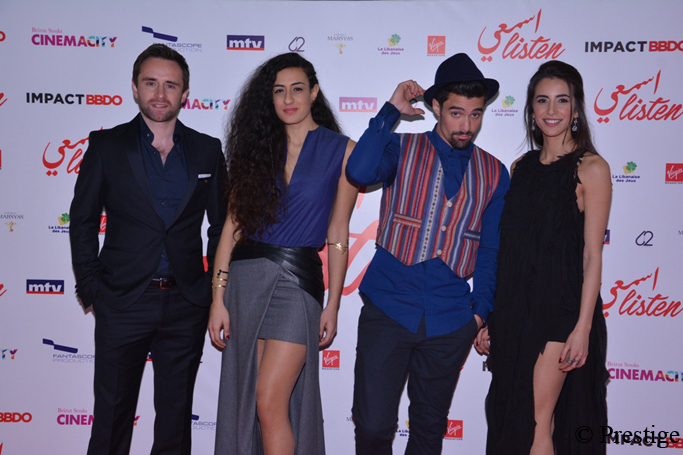 Main actors of the movie Listen: Thomas Russell, Yara Bou Nassar, Hady Bou Ayash and Rouba Zaarour. 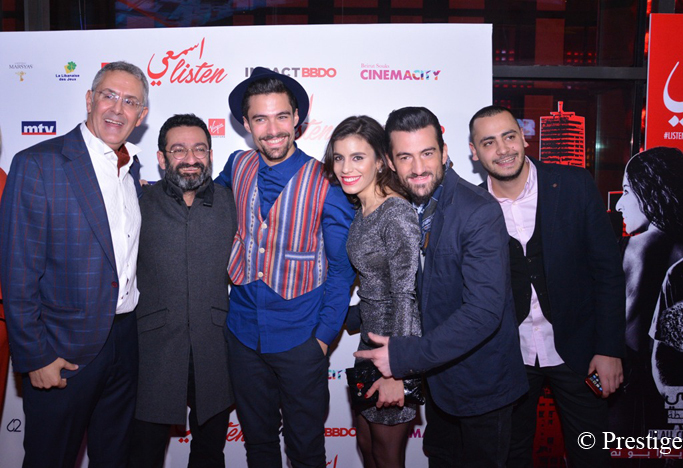 It is at Cinemacity Beirut Souks in presence of director Philippe Aractingi and the cast that was screened on January Monday 30th, the Avant-Premiere of the movie listen in presence of VIP’s and actors. 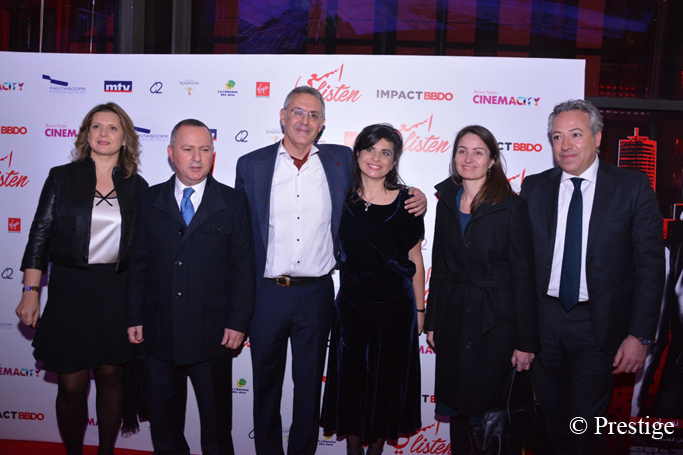 Director Philippe Aractingi with Mrs Aractingi with minister Rony Areygi and Mrs Areygi and some guests. Joud is a sound engineer, Rana is actress by profession, Marwa teaches Arabic literature at university. In his latest film «Listen / Ismaii», that will be released in Lebanese cinemas on February 9th, Philippe Aractingi paints a portrait of three different characters. Three modern and enthusiastic young Lebanese. Main roles include Hady Bou Ayash, Rouba Zaarour, Yara Bou Nassar, Rafic Ali Ahmad, Joseph Bou Nassar and Lama Lawand. Through a journey into the world of sound and listening, «Listen / Ismaii» revolves around love as one of the strongest forms of resistance. The film is the story of a young sound engineer, Joud, a gentle and discreet man who seduces Rana, a young sparkling and rebellious actress, by introducing her to his world of sounds. Rana disappears. To find her sweetheart, Joud will resort to sounds and messages that he will send her, thanks in particular to the complicity of Marwa, the sister of Rana. Philippe Aractingi and Hady Bou Ayash with George Khabbaz and some guests.